Includes FREE waterbed conditioner and FREE shipping! You will love the adjustable cozy temperature controlled comfort this will add to your bed. 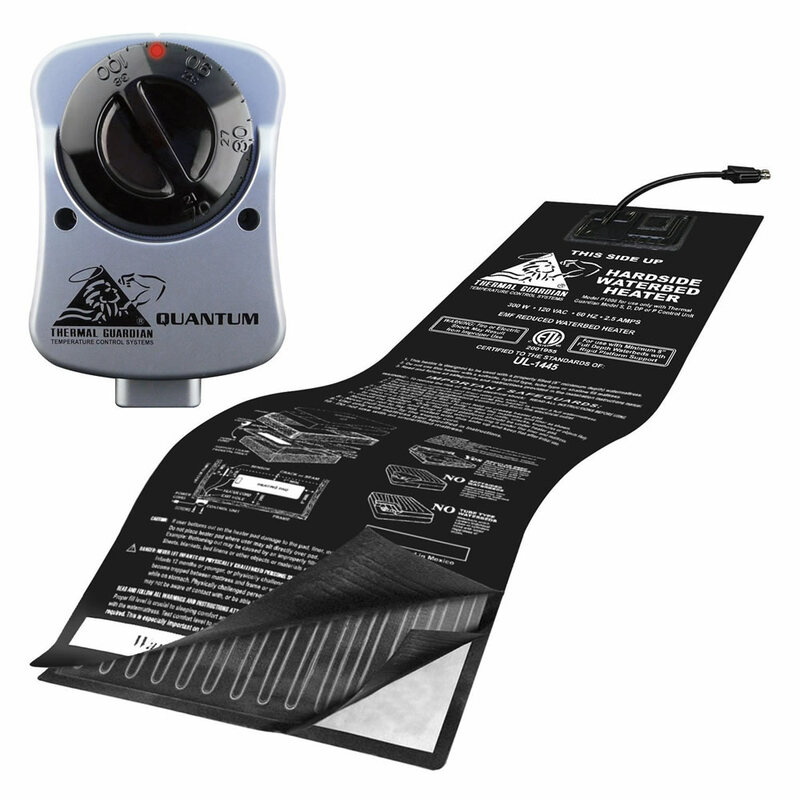 The energy efficient solid state thermostat and warming pad is specifically engineered to regulate the desired temperature of your hard side water bed. Average life expectancy for an H2o heater is 7-8 years. How hold is yours? Are you moving? 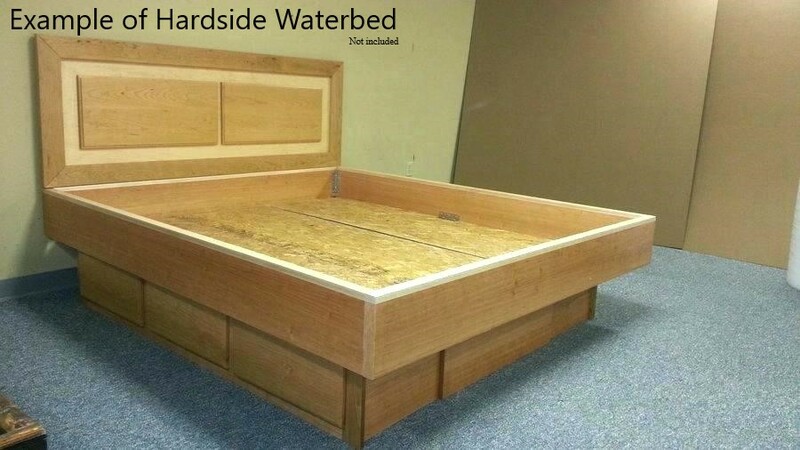 Are you draining your waterbed? Is your old waterbed heater not properly maintaining proper temperature or perhaps stopped working and quit. A new heating system is the safe solution and if the bed is already drained why not plan ahead and make life easy on yourself. NOTE this heater should never bed used in a bed with a fill level of less than 8 inches. See installation instructions for complete details. The waterbed industry’s safest heating pad and control design. Easy to use: Just plug it in, and you can adjust the thermostat even when it’s dark. 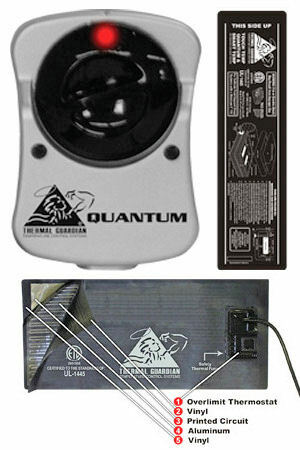 How do you know if your Quantum waterbed heater is generating warmth? A small diode is lights up, telling you the waterbed heating element is in the heating mode of operation. 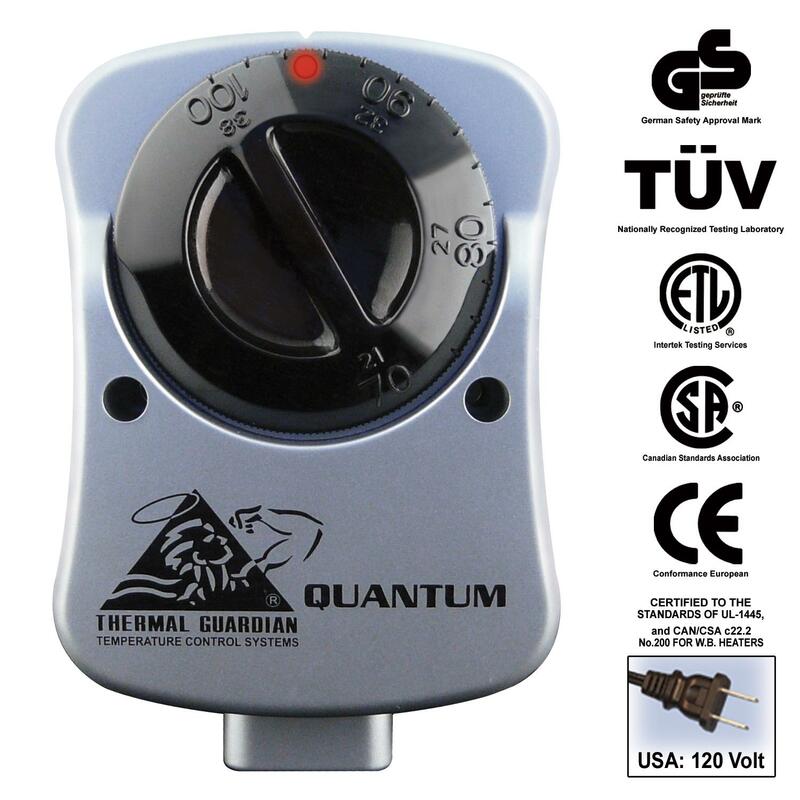 Simply turn the adjustable dial; you can regulate the temperature setting to the desired setting. The petite control unit is integrated with heater making it more watertight, and there are no extra cords to be concerned about. Temperature Selection: You will adjust the thermostat control unit to your perfect temperature at the while it maintains the water temperature within +/- 1¼F, in normal room conditions keeping you snug and comfortable. Dual bladder waterbeds: You will need 2 heaters for individual temperature control. Example; one side of the bed could be adjusted to 90 degrees, while the other is set at 86 degrees. Perfect for the couple who can’t agree on same temperature of the bed. Anti Flame coating: Take a look at the crystal smooth finish and you may notice additional brush marks, this is a high tech flame barrier for a final layer of added safety. Longer Mattress and Liner Life: Thanks to more even heat distribution plasticizer migration is mitigated and life is extended. No scorching and overheating that can damage vinyl on liners and water mattresses. Warranty:5 Years Total. The best in the business.1-2 years fully repaired or replaced at No Charge. 3-5 years prorated cost to replace……..65% of the then Manufacturer Suggested Retail Price. See warranty for complete details. Accurate: High quality high tech solid state encased thermostat control box. Easy to Read: High contrast red/black illuminated interface. Note: It is now time to check your safety lf it is over 5 years old it has likely seen better days. Look for the following issues: torn, broke down or it has holes in it. If you notice any of the described issues it is time to get a new Standup Safety Liner Here . It is you last safety net in the rare case of a leak and can save you a lot of costly repair and clean up. Don’t delay, replace it. When refilling a hardside waterbed remember to burp all of the air out of the mattress. It will reduce sloshing noise and make the bed more comfy.